48. 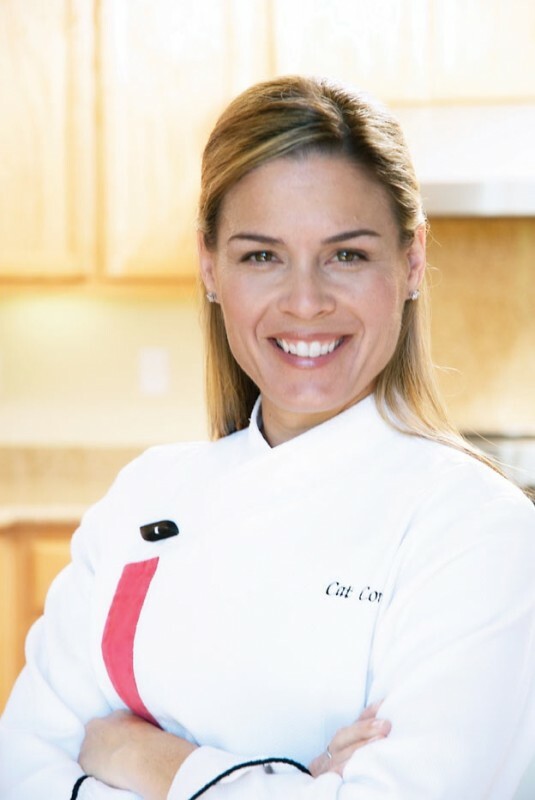 Cat Cora- Being the only female Iron Chef earns Cora a spot on the list. Plus, her telegenic glamour and golden locks surely help in hooking folks on cooking—and having four sons with her wife, well, that’s just cool. Cat grew up around food. She's Greek, and we all know that the two go hand-in-hand, right!? Big family gatherings. Family-owned restaurants. Roasting meat on spits in the front yard. What? That's not every Greek family? Okay fine. But she is Greek. And her family is in the restaurant business. She did grow up around food. 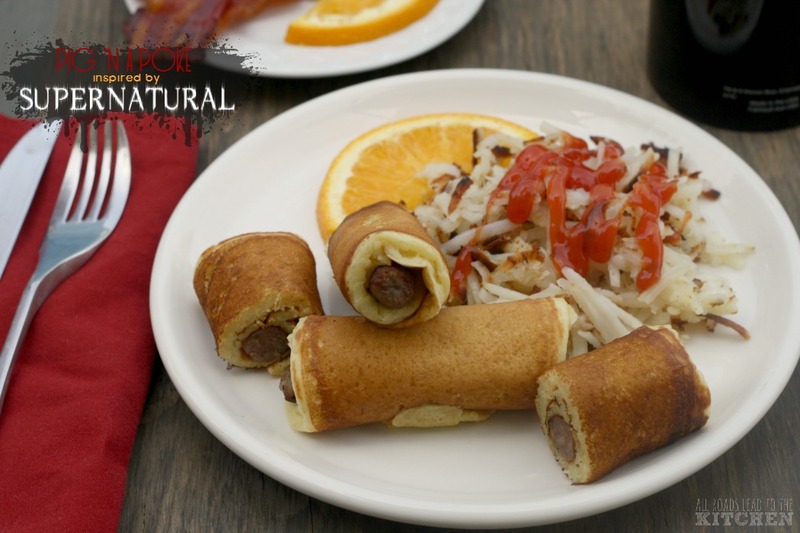 She will tell you that cooking and eating were at the center of her family's life. As a matter of fact, she presented her dad and her grandpa with a business plan for her own restaurant when she was just 15 years old. 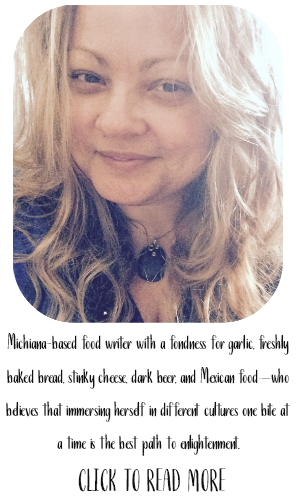 Along with her grandmother, she states her cooking influences as Julia Child, Barbara Tropp, M.F.K. Fisher (three of our previous game-changers, incidentally). Cat was born in 1968 and raised in a Greek community in Jackson, Mississippi. Although she received Bachelor of Science degree in Exercise Physiology and Biology at the University of Southern Mississippi, she ultimately enrolled at the C.I.A. (Culinary Institute of America). I mean, when your mentor Julia Child encourages you to pack up and move to New York to pursue something you love - you listen. Well, I would. Cat apprenticed in some kitchens in New York before she moved to Europe to continue her education and apprenticing. She wound up in Norther California (where she ultimately planted roots) working as chef de cuisine at Napa Valley's Bistro Don Giovanni. Cat got her start on television in 1999 in the Food Network Show Melting Pot (w/ Rocco Di Spirito). After that she hosted My Country My Kitchen: Greece, Date Plate, and she was also a featured host on Fine Living's Simplify Your Life. In 2002, a documentary was made about her first James Beard dinner entitled Cat's in the Kitchen. She co-hosted the show Kitchen Accomplished (a kitchen makeover show), appeared with Wolfgang Puck in Celebrity Cooking Showdown (a celebry/chef pairing cook-off show), and of course, she is the only female Iron Chef! 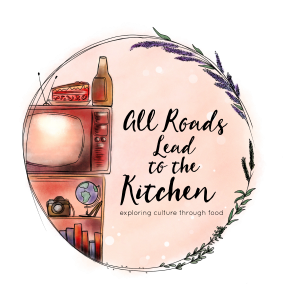 Her latest television venture, Around the World in 80 Plates (a reality show competition with Curtis Stone) debuted this month. In '11, she opened two restaurants, Cat Cora (bar and lounge style) at Terminal 2 in the San Francisco International Airport and Cat Cora's Kitchen in Terminal E of the Bush Intercontinental Airport. 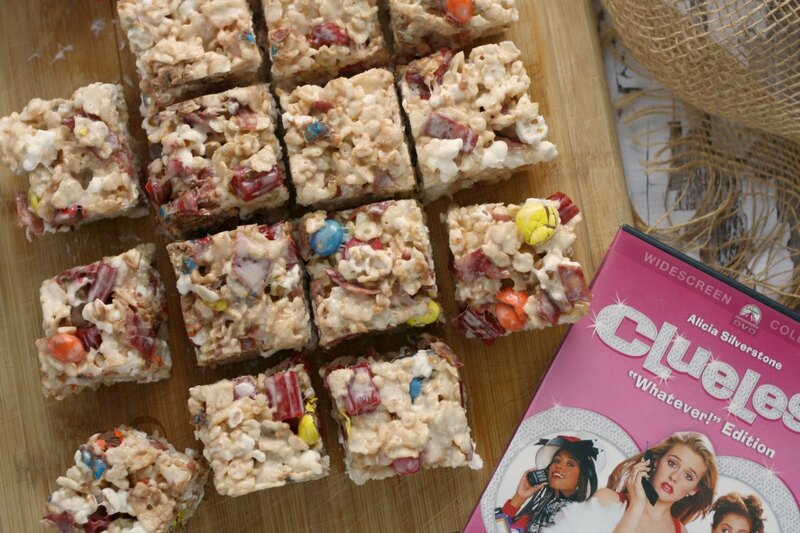 Cora has also written 3 cookbooks - Cat Cora's Classics with a Twist, Cooking from the Hip, and Cat Cora's Kitchen. In '06, she was named Bon Appétit magazines teacher of the year and named Executive Chef of the magazine. She is also a member of Macy's Culinary Council. She is also founder and president of Chefs for Humanity and a spokesperson for UNICEF. Oh, and she is the mother of 4 boys with her partner, Jennifer. WHEW! I'm gonna go ahead and call her a force to be reckoned with. I'm thinking I probably just grazed the surface here. 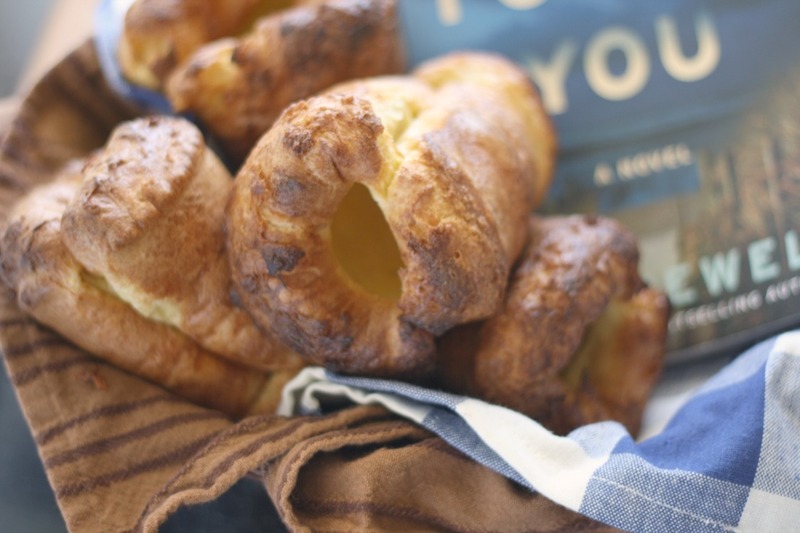 The recipe I chose to represent her today is simple, seasonal, and approachable...which I think is very much Cat's style. 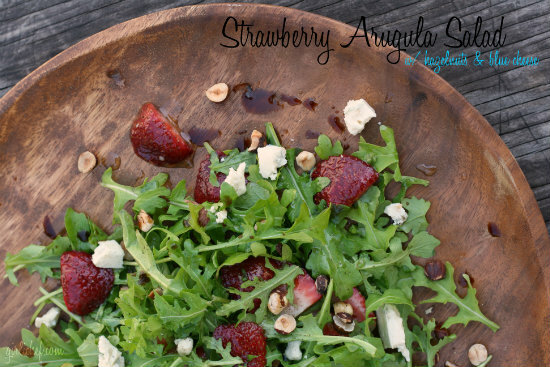 Sweet strawberries and peppery arugular accented wth hazelnuts and tangy blue cheese. Put all of the ingredients in a small jar with a tight-fitting lid and shake well to combine. 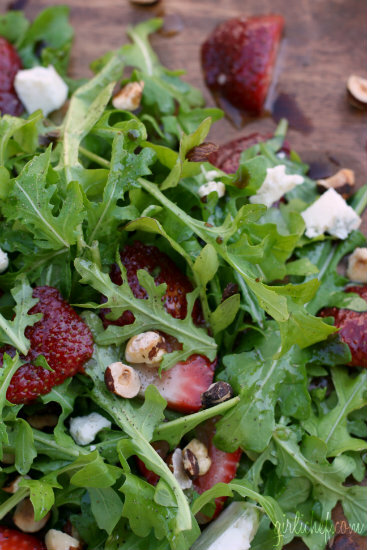 Place the cut strawberries into a bowl and pour the vinaigrette over the top. Gently toss to combine. Let sit 5 minutes (no more). Place baby arugula in a large bowl. 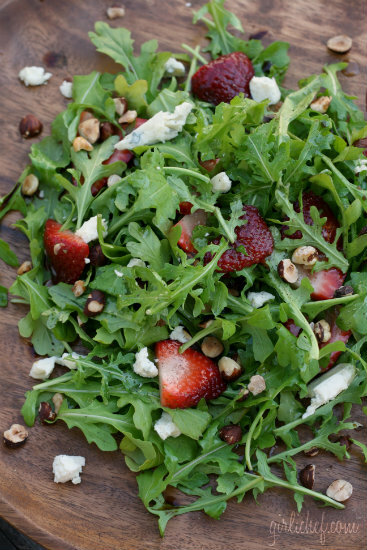 Scoop the strawberries out of the vinaigrette with a slotted spoon (or large fork) and add to the bowl with the baby arugula. Add just enough vinaigrette to barely coat the greens and toss gently. Arrange on serving plates. 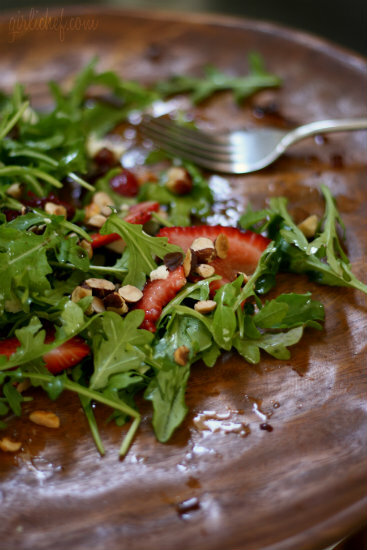 Scatter toasted hazelnuts over the salads. Crumble the blue cheese over that. Drizzle everything with a bit of balsamic vinegar and grind some black pepper over the top of everything. 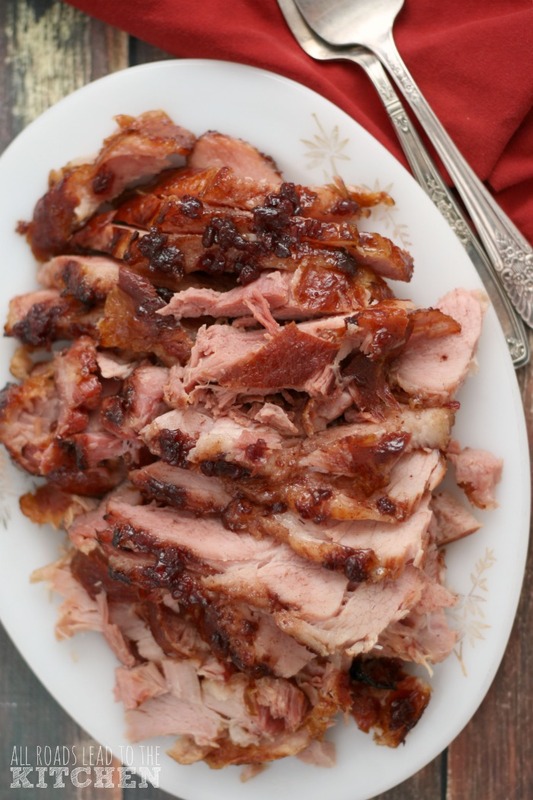 Serve the extra vinaigrette on the side in case anybody wants more. Enjoy!